I’m Part ‘P’ certificated and a 17th edition JIB Registered Electrician. I a great deal of pride in my work and my reputation has been built on this. Most of my work is based on recommendations from local people. I offer a high quality service, skilled workmanship and always gives the best value for money. I am very prompt and provide good rates and often described as very clean (Yes i do clean up after the work) on time and courteous by my clients. 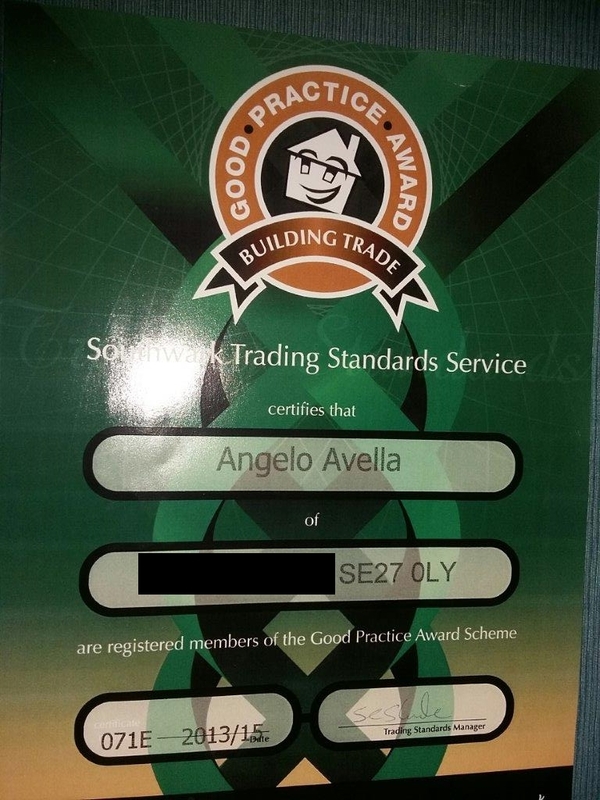 This can be viewed on the Southwark Trading Standards website here.